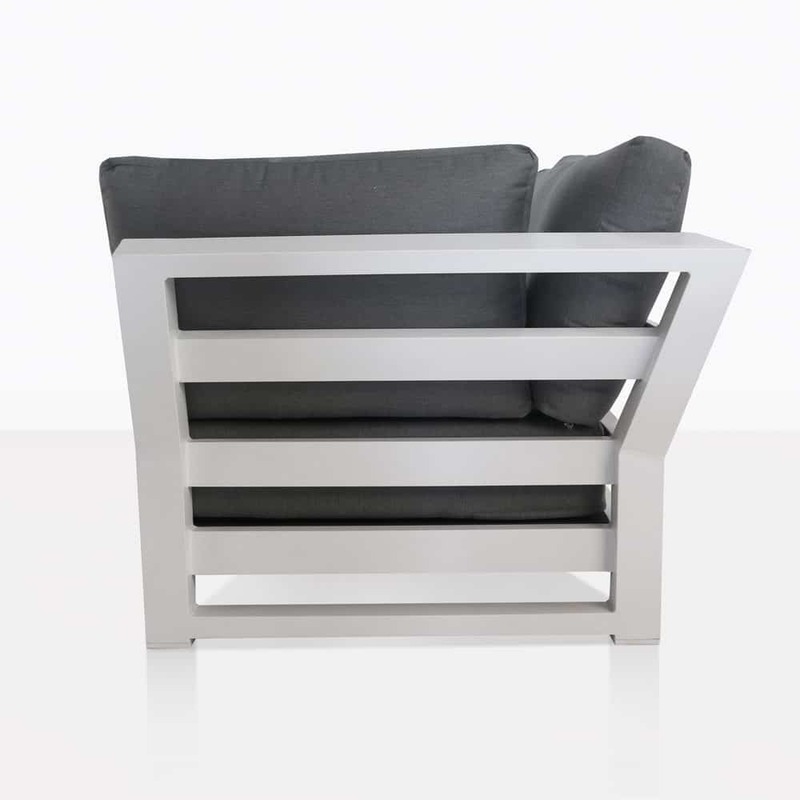 Encouraging opulence, prestige and urban glamour is magnified in our new South Bay Outdoor Sectional Left Armed Sofa. A core piece in the divine South Bay Collection from Design Warehouse. Giving breath to incredible design and extraordinary materials, this collection features both the Left and Right Arm Sofa, a Corner Piece and an Ottoman, opening up many different configurations for you to personalize your space with ease. Taking note from the characteristics of the South Bay area in Cali, this collection is sophisticated, coastal, breezy and chic. 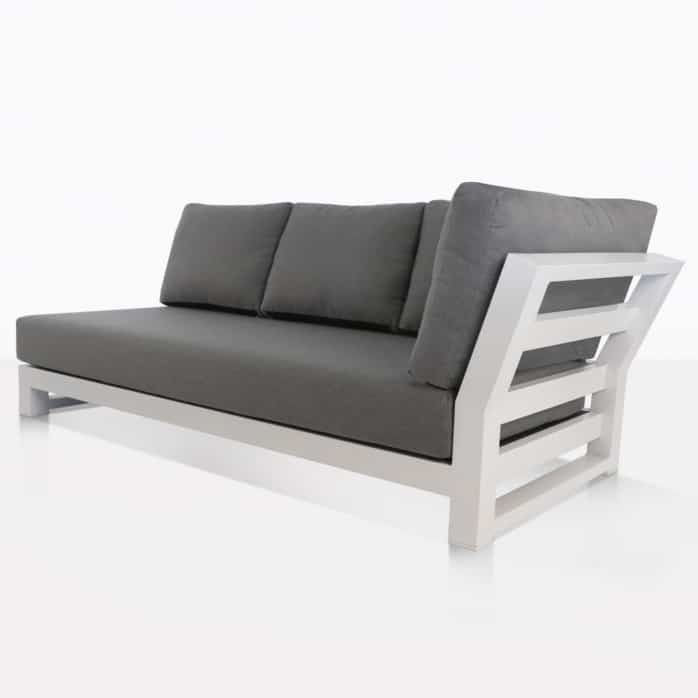 The Left Arm Sofa showcases a solid, linear frame with a slightly angled back and arms which shows off the stark white powder coated aluminum. This look in itself is stylish, sleek and a statement. To contribute to the comfort, luxury and look of this gorgeous piece are fluffy, soft Sunbrella® cushions. A welcome addition to an already high-end, sophisticated setting. Whether you have a modest space or have a bit more room to play with, this is a collection that is light, stylish and versatile. Place your South Bay Left Sofa up against its Right compadre for a long, languid sofa unit facing your stunning view? Or if you’re looking to create a cozy space for many guests, then place a corner in between and enjoy an L shaped sectional that allows a communal space to rejoice in each others company on a luxury outdoor furniture suite. This piece is amazing indoors as well as out. 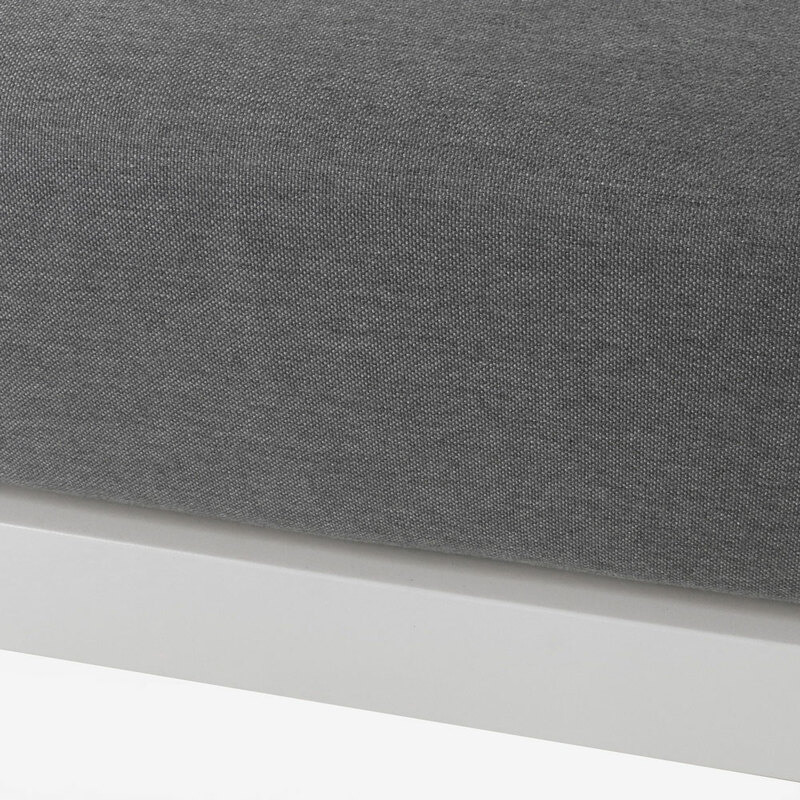 Create an urban haven in your office or covered courtyard, with a superb design that speaks volumes! The South Bay Collection is constructed from quality, long lasting products. Powder coated aluminum, Sunbrella® fabric and marine grade fixings ensure you have a product that will stand up in the outdoors. 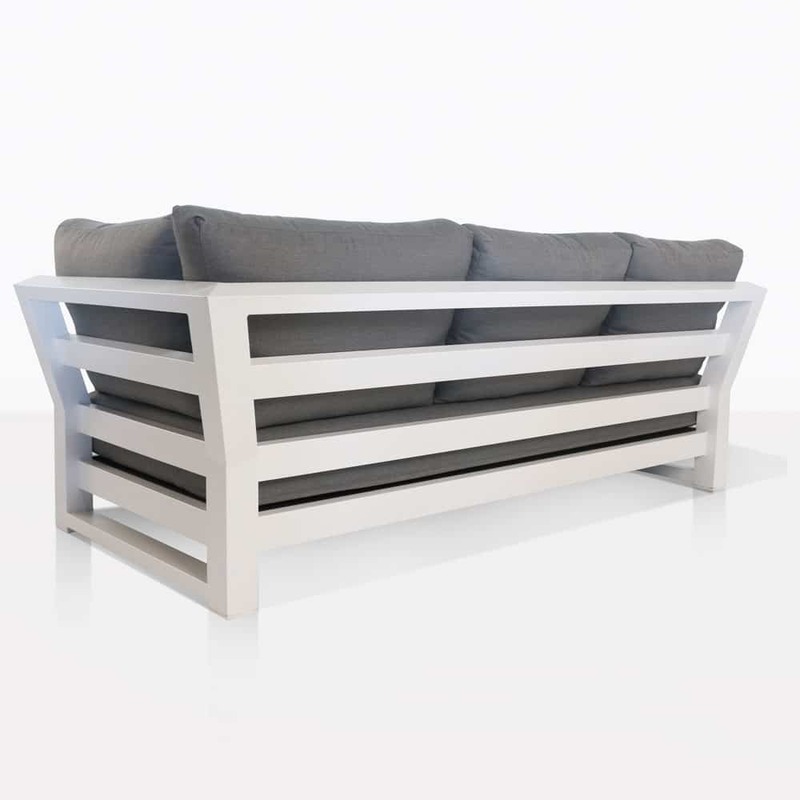 Minimal maintenance will keep your South Bay Sofa looking superb for years to come.